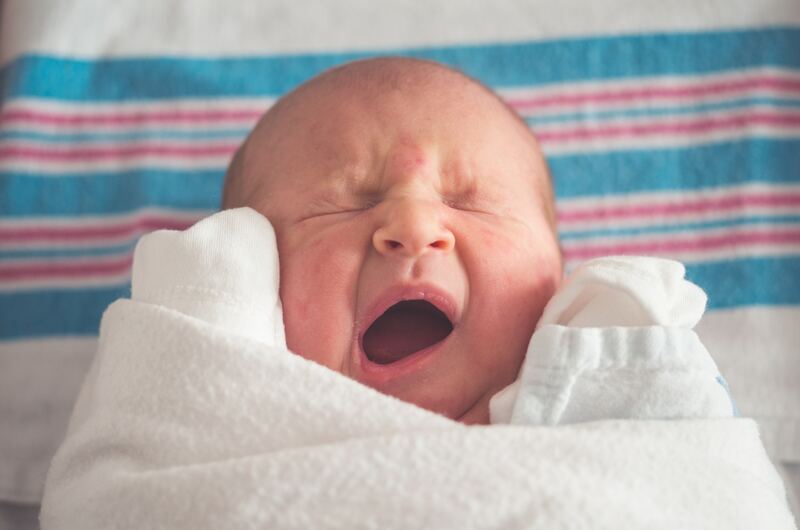 What every new parent needs to understand about baby's tears. Travelling down the highway, you’re buckled in the back seat beside your baby who is crying their eyes out. Your peaceful voice isn’t helping, and nor are the stuffies, soothers, or songs. Your heart races and a lump builds in your throat as you imagine all the emotional suffering your little one must be experiencing. You know you don’t want to let your baby cry it out, but there you are watching it happen before your very eyes. A very upset baby is not the same as a baby who feels abandoned. Babies are survivors. Babies are emotional beings. Babies have preferences and personalities. This means that sometimes, your baby is going to get upset. Possibly very upset. Perhaps on this car ride (perhaps every car ride), your baby doesn’t want to be strapped into a seat. Your loving arms, the comfortable feeling of being swaddled or held in a particular position, may be just what your baby would like. How do babies communicate their feelings when they would like something to be different? They fuss, they cry, and then they howl. It takes more than two decades for our brains to be fully developed – consider for a moment how variable the emotional self-regulation of a teenager can be – so your baby is going to commit, completely and utterly, to the feelings of the moment. Neglect and abandonment are experiences that get wired into our nervous systems and impact our sense of safety, worth, and our capacity to connect with people throughout our lives. This is the understanding upon which the criticism of letting babies cry it out is built. Babies aren’t learning to self-soothe, they’re learning to dissociate because the trauma of being ignored is so significant. The neurophysiology of a neglected or abandoned baby and a frustrated baby are vastly different. It’s okay for a baby to endure a bit of frustration. It’s harmful for a baby to endure abandonment and neglect, even if it’s just perceived (such as being left to cry it out alone when parents are in the next room). When you are sitting there next to your angry baby in that car, that baby can see your familiar face, can hear your soothing voice, can feel your hand on their belly or stroking their head. Your baby is not interpreting that they are abandoned or neglected. You are right there. In fact, in these moments when our babies protest (loudly! ), but we remain steady, present, connected, and loving, our babies grow into children who understand that they are supported and have the capacity to navigate situations where challenging emotions present themselves. It may be the upset of a car ride, baby needing to fall asleep with a relative who isn’t usually part of the bedtime routine, or any of a number of things which your baby may oppose to. Guilt and anxiety about not being perfect as parents is a concern one rarely escapes, and it’s hard on the heart to worry that we’re harming our kids. It’s easy to fall into the trap of believing that the measure of a baby who is developing secure and healthy attachments is a baby who never cries, or who is always relieved of crying immediately; that failing to relieve crying swiftly is in fact a failure as a parent. The key is your presence, not the tears themselves. What babies need to feel securely attached are engaged, loving parents and community who attend to their needs, offer ample affection, respond to their cries, and offer reliable physical presence and safety. If you can check those things off your list, then you are doing well for your child. It never gets easy to see your child upset, frustrated, or disappointed, but next time your little one is howling offer yourself the gift of this reminder and try to find some peace in your heart. You’ve got this, you’ve got them, and you’ll all make it through. Don’t babies cry for a reason?